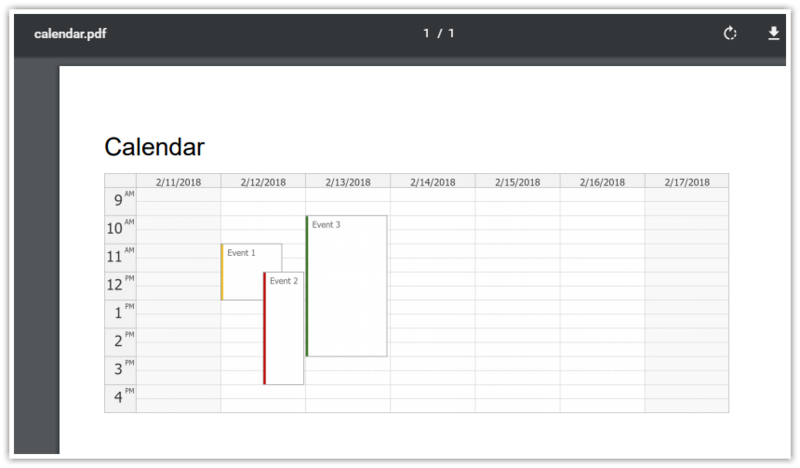 This config will create and display a weekly calendar. The lossy JPEG format is not the best choice for the image export of the Calendar. However, PNG files can only be inserted into the PDF document as uncompressed data and that would make the output PDF file extremely large.